Winnipeg, MB – Global Auction Guide Media Group is pleased to announce Sarah Willsey has joined the company as the Sales and Marketing Representative for Ontario and Eastern United States. Sarah Willsey brings Inside Sales and Marketing experience to Global Auction Guide Media Group from her previous position within the print media advertising industry. The relationships she has built within the Ontario Auctioneer community will be an asset to her new position with the Global Auction Guide Media Group team. From this, Sarah will be able to build upon her relationships with the Auctioneers as well as strengthen their relationship with Global Auction Guide Media Group. 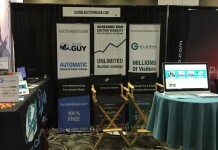 Global Auction Guide Media Group is Canada’s largest auction advertising website with thousands of upcoming auctions listed from both traditional auction companies and online auctions. 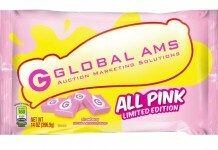 Millions of potential bidders use our network of sites at Global Auction Guide (globalauctionguide.com), Farm Auction Guide (farmauctionguide.com), Auction Bill (auctionbill.com) and Auction Guy (auctionguy.com) to find sales all over North America. 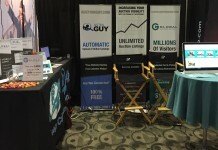 With an ever increasing client base, Global Auction Guide Media Group provides cost effective Internet marketing with the use of efficient and modern websites, phone apps, and social media. Next articleGet noticed on Global. We’ll see you in Columbus!